Home ⁄ The Wire ⁄ JASON COFFMAN ON THE CHEAP, CRAZY CULT FILMS OF ANDY MILLIGAN! JASON COFFMAN ON THE CHEAP, CRAZY CULT FILMS OF ANDY MILLIGAN! Andy Milligan’s first film, a short titled VAPORS, was released in 1965. His final feature, SURGIKILL, was released in 1989. In the nearly two and a half decades between his first film and his last, Milligan cranked out about thirty super low-budget grindhouse films. And when talking about Milligan, that’s not “grindhouse,” that’s real, actual, honest-to-God *grindhouse*, films that endlessly played the fabled movie palaces on 42nd Street throughout the 1960s and 1970s. Milligan got his start as a playwright and director in the theater scene that sprung up around Caffe Cino, a coffeehouse that doubled as a theater for decidedly off-Broadway productions. He transitioned into film using many actors he met at Caffe Cino, often working for infamous exploitation producer William Mishkin. Milligan worked cheap, but he also exerted a level of control over his productions that would make Stanley Kubrick blush: Milligan wrote, directed, shot, and edited as well as frequently designing and sewing costumes (as Raffine) and recording sound on his productions. Milligan had a reputation for terrorizing his cast and crew, but the end results were films that are as unmistakably “Andy Milligan” as any film made by more well-known auteurs. And now, over twenty years after his death in 1991, Andy Milligan is on the verge of cult stardom that his singular vision has previously been denied. The Cult of Milligan has been growing exponentially over the last few years, helped by such proponents as Vinegar Syndrome (who released high-quality downloads of 1970’s GURU, THE MAD MONK, and 1973’s FLESHPOT ON 42ND STREET for free download on their web site) and Philadelphia-based Exhumed Films, who featured a version of Milligan’s BLOOD (1974) that had been long unavailable at their Forgotten Films Festival in 2014. In April, Exhumed will be producing an incredibly rare triple feature with three of Milligan’s best-known films screening from 35mm prints: TORTURE DUNGEON (1970), BLOODTHIRSTY BUTCHERS (1970), and THE MAN WITH TWO HEADS (1972). This show takes place Friday, April 10th, at the International House in Philadelphia, and is the culmination of a Milligan rediscovery that is sorely overdue. Most film fans who have heard of Milligan at all are probably familiar with his work through Michael Weldon’s Psychotronic magazine or Tim Lucas’s Video Watchdog. Weldon coined the infamous phrase “If you’re an Andy Milligan Fan, there’s no hope for you.” Lucas went even further, suggesting that “To reach an appreciation of (Milligan’s) work, it may first be necessary to develop a loathing toward traditional forms of cinema.” Perhaps the biggest name-check for Milligan was in Stephen King’s Danse Macabre, in which he refers to Milligan’s THE GHASTLY ONES (1968) as “the work of morons with cameras.” However, thanks to the proliferation of film discussion on the internet and the insatiable appetite of dedicated paracinephiles to uncover new frontiers of strange cinema, Milligan’s reputation has become less that of an inept grindhouse crank and more of (as Rob Craig refers to Milligan in his book of critical essays on Milligan’s films) a “gutter auteur.” Indeed, this is likely due to more people actually watching Milligan’s films and finding they represent a distinctive, warped vision rather than taking the word of dismissive critics. The three films in Exhumed’s triple feature are great examples of Milligan at his most accessible, working in the horror genre. TORTURE DUNGEON tells the story of the depraved Duke of Norwich, who has designs on the throne of Tarragon. This is one of Milligan’s medieval period pieces, which he used as an excuse to create elaborate, outré costumes for his cast. It also features plenty of gruesome violence (done on the cheap, naturally—Milligan’s horror films had a recurring bit with ping-pong balls in place of eyeballs) and outlandish characters. It also runs under 80 minutes, underlined by another defining characteristic of Milligan’s style: the dense, stagey dialogue is delivered at a breakneck pace, as though the actors are at gunpoint and trying to get their lines out before Milligan lets them have it. That was entirely possible, but it’s also a symptom of Milligan frequently shooting with “short ends” of 35mm film. A “short end” is film stock left in a used roll of film that is unexposed and can still be used, although it may only be enough film to capture a few seconds of footage depending on how much of the roll was shot. This was a common practice for shooting film very cheaply, and it was a hallmark of Milligan’s 60s and 70s productions in particular. In BLOODTHIRSTY BUTCHERS, Milligan took his swing at the story of Sweeney Todd. Throughout his career, Milligan made his own take on famous public domain stories and classic monsters (including the insane monster rally of BLOOD, which features vampires, werewolves, killer plants, and more). BLOODTHIRSTY BUTCHERS is a fairly straightforward take on the tale of barber Sweeny Todd, played by John Miranda, as he murders people and passes their corpses on to a butcher who turns them into meat pies. The costumes, as per Milligan’s usual, are fantastic, and the style is unmistakably Milligan. The story and subject matter just happen to neatly fit in with Milligan’s bleak worldview. The same holds true of THE MAN WITH TWO HEADS, an adaptation of Robert Louis Stevenson’s “Dr. Jekyll & Mr. Hyde.” While the stories may be familiar, Milligan imbues BLOODTHIRSTY BUTCHERS and THE MAN WITH TWO HEADS with his unique imprint, making them much more than just a new coat of paint on an old story. The Milligan triple feature follows a busy last few years for Milligan fans, kicked off by the British Film Institute’s Blu-ray release of Milligan’s NIGHTBIRDS (1970), spearheaded by filmmaker Nicholas Winding Refn. Refn purchased the only existing print of the film (as well as Milligan’s old Auricon 16mm camera rig and other miscellany) from Jimmy McDonough back in 2009, and the resulting Blu-ray was worth the wait. The disc presented one of Milligan’s best films, previously thought lost, in a stunning HD restoration. In 2013, Milligan’s unfinished COMPASS ROSE (1967) surfaced online, first on torrent sites and then on YouTube. 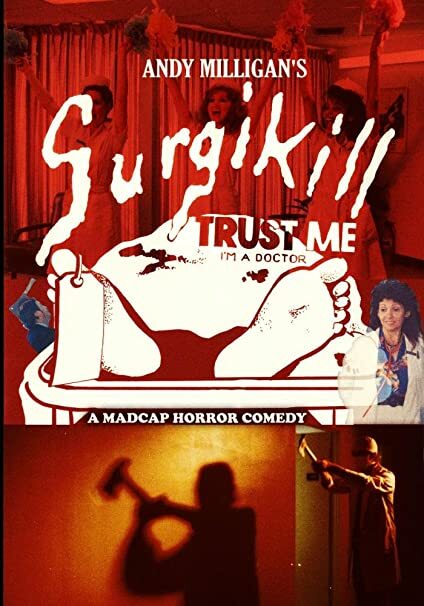 More recently, Code Red released three Milligan features on Blu-ray, and Frolic Pictures’s presented the long-overdue premiere of Milligan’s final film, SURGIKILL, on DVD. 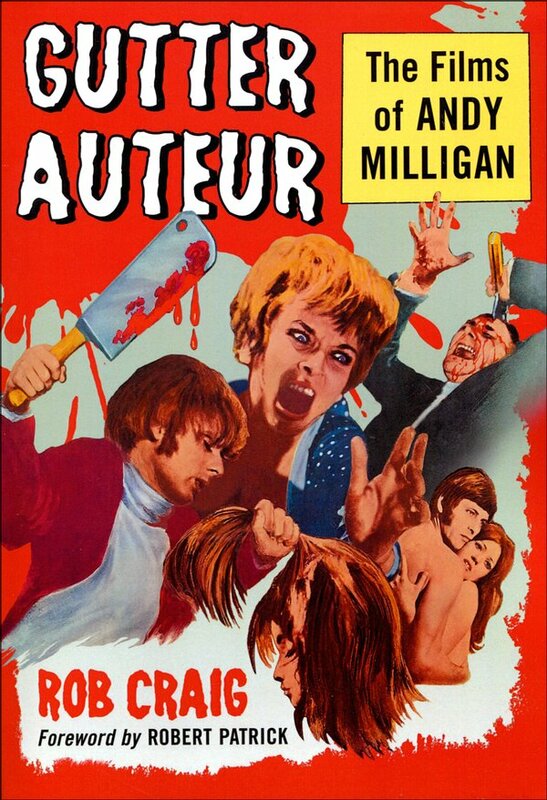 Retromedia also released a triple-feature DVD of Milligan films (THE GHASTLY ONES, GURU, THE MAD MONK, and 1970’s THE BODY BENEATH) under the title The Andy Milligan Grindhouse Experience on March 24th, complete with commentary by David DeCoteau. It’s gratifying to see Milligan finally getting the audience and serious consideration he was largely denied during his life, and hopefully with the resurgence of interest in his work, more of Milligan’s lost films may finally resurface. Exhumed Films’ Milligan Mania will be held on Friday, April 10th at the International House Philadelphia. Tickets are $20 general admission and $15 for International House members. For more information, visit the Facebook event page and the Exhumed Films website. GURU, THE MAD MONK: trailer. THE MAN WITH TWO HEADS: clip. And here are our friends at Geekadelphia talking up the event!